MICHIGAN CITY, Ind. 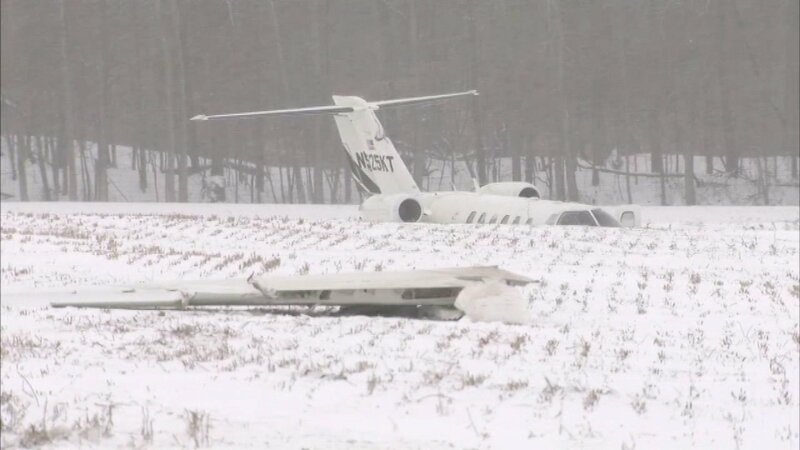 (WLS) -- A small plane slid off a runway early Wednesday morning at an airport in northwest Indiana. Michigan City firefighters, police and LaPorte County EMS responded around 6:45 a.m. to a report of a downed aircraft at Michigan City Municipal Airport - Phillips Field. 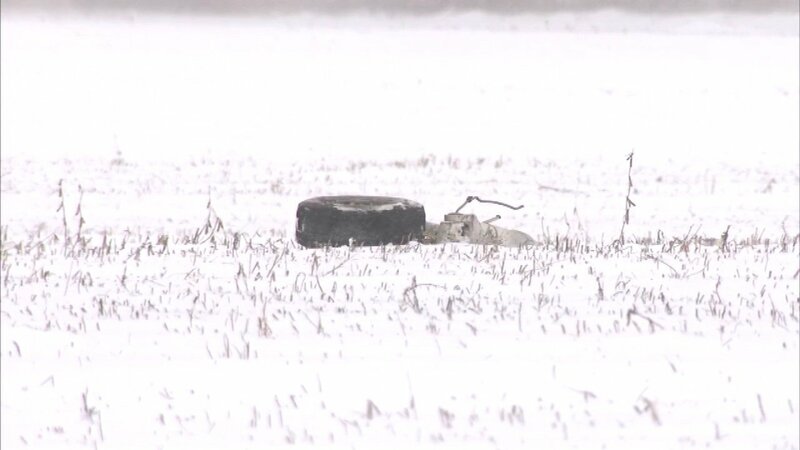 A twin engine jet had come to rest about 300 ft. into a field near US 20 and Highway 212, according to Tony Drzewiecki, public information officer for the Michigan City Fire Department. The pilot and a passenger, the only people in the plane, had gotten themselves out safely, Drzewiecki said. 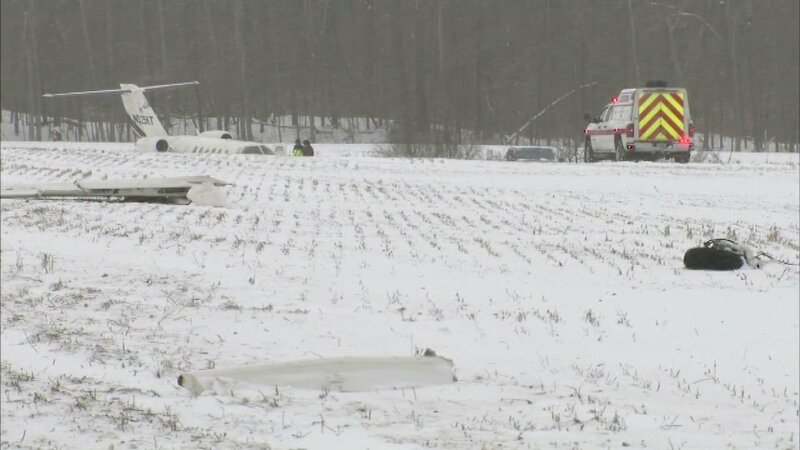 The pilot overshot the runway while trying to land, hit a fence that borders US 20, skidded across the highway, took out a guard rail and slid into the field. While the aircraft was heavily damaged, the pilot and passenger only suffered minor injuries and were treated at the scene. A Wind Chill Advisory was in effect when the incident occurred. It will be in effect for the Chicago area until 11 a.m. Wednesday. Wind chills are expected to be between -15 and -30. High temperatures will only reach around 10 degrees Wednesday.